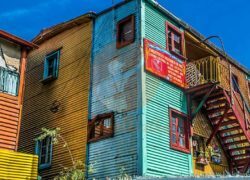 Recoleta is one of the most famous neighborhoods of Buenos Aires with plenty of things to do around. It is admired by tourists for its impressive aristocratic architecture and monuments, beautiful parks, fancy style and important museums. 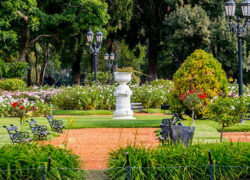 Join us and let’s take a walk through the Recoleta highlights! A nice tip: all activities listed on this article are FREE! 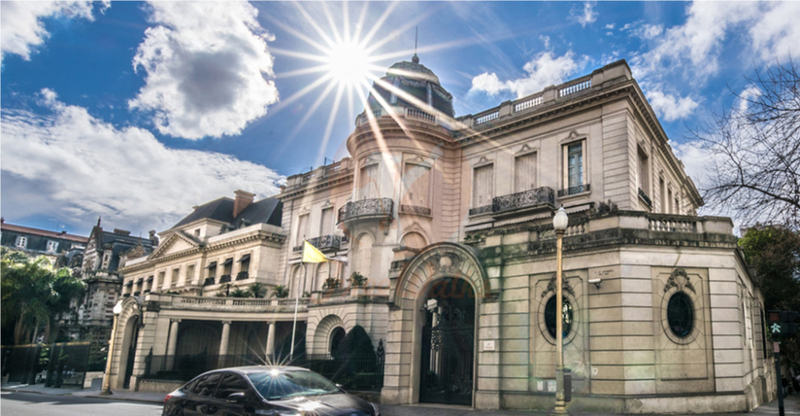 Avenida Alvear is the fanciest avenue of Buenos Aires. Back in the day, the most powerful and rich Aristocratic families built here their majestic palaces and mansions that make today an unique collection of architectural masterpieces in South America. 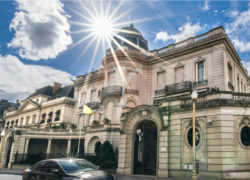 With its French flair these houses host today 5 stars hotels, art galleries, luxury shops and embassies. 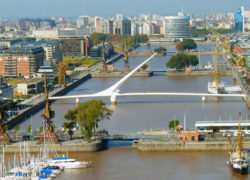 This is definitely one of the places not to miss if you are coming to Buenos Aires!! To know better this emblematic place of Recoleta you can join our Recoleta Free Walking Tour or enjoy it walking it by yourself! 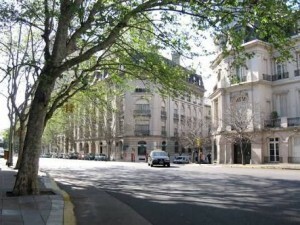 When you get to the end of Alvear Avenue you will find Plaza Alvear (a.k.a. as Plaza Francia). This is the heart of the neighborhood where a charming Market takes place every weekend. Here you will find a beautiful colonial 18th century convent and right next to it one of the most impressive places of Buenos Aires: the Recoleta Cemetery. 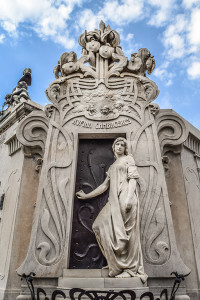 With free admission, the Recoleta Cemetery is the most visited place in Argentina. Attractive for its artworks and huge graves, it makes you feel as you were in an outdoors museum instead of a cemetery. Learn about the Recoleta Cemetery stories and what happened to Evita’s corpse on our tours inside the cemetery! Otherwise just enjoy a walk through this jewel of the city! 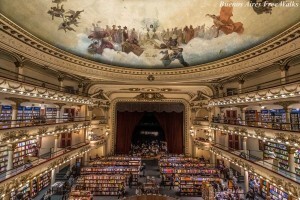 El Ateneo is listed as one of the most beautiful bookstores in the world. 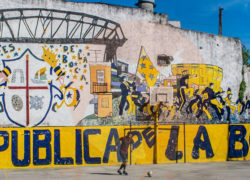 It represents the passion that locals have for culture and literature that make Buenos Aires one of the most cultured and vibrant cities in Latin America . Learn more about this famous attraction ! 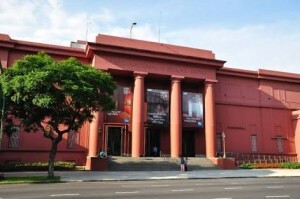 Hosting the biggest art collection in South America, this museum shows impressive Argentine 19th century art portraiting traditions and customs of the countryside of Argentina, reknown international painters as Rembrant, Goya, Van Gogh or Manet and a 20th century showcase of Argentine artists. 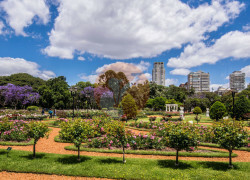 This big pink building sticks out from the green grass and jacaranda trees of the Recoleta Parks. A perfect combination of nature and culture. Admission is free! Learn about this museum and the other best museums in Buenos Aires! 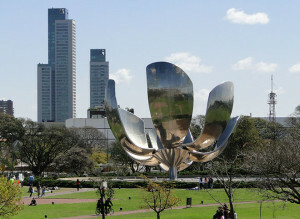 This giant metal flower is today one of the most famous landmarks in Buenos Aires. Donated by an Argentine architect in the 2000s, this impressive structure is an engineering masterpiece that unfolds with sunlight and closes during night. 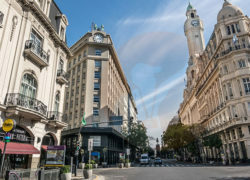 It is right next to the beautiful school of Law of University of Buenos Aires and surrounded by the big parks of Recoleta!